Imperforate, colored paper, no watermark, typography. Joined the unified Italy on March 18, 1860. Stamps of Sardinia were valid until Italy issued stamps on February 24, 1862. Stamps from the second printing, with colored printing on white paper, are much scarcer. The 40 centesimi was not printed on white paper. 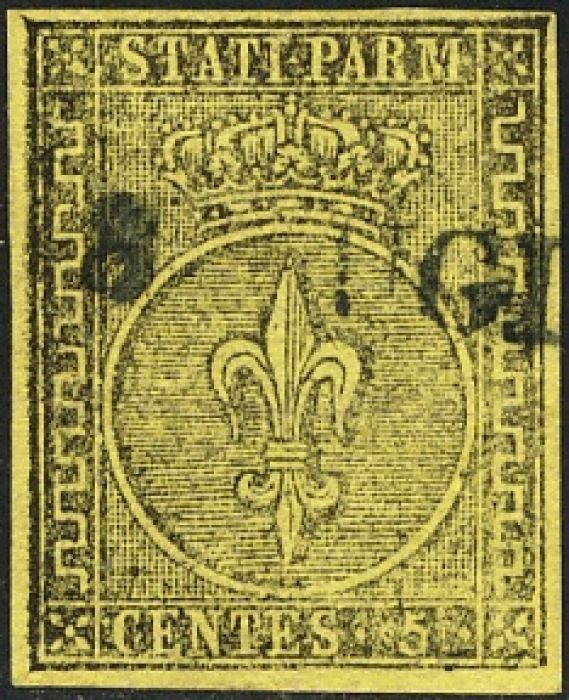 All Parma stamps were invalid after July 31, 1859. There is a summary ot Italian State Issues here.